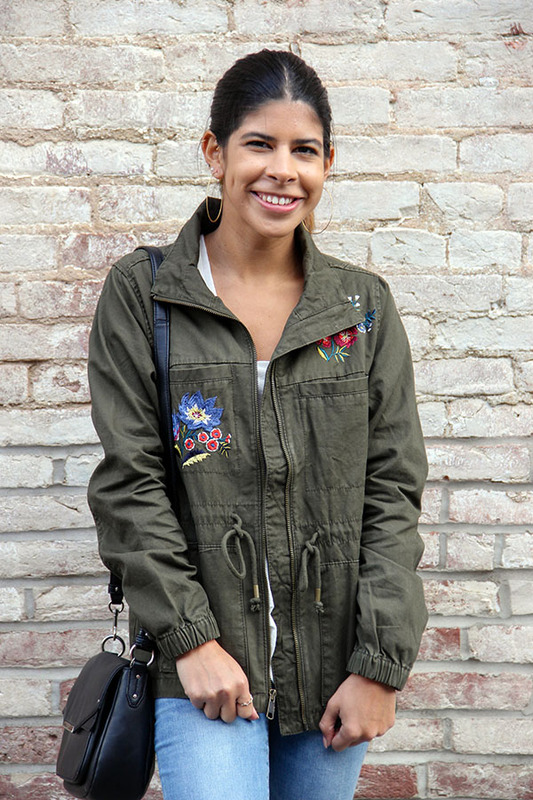 One of the top items on my fall wishlist was a camo jacket, until I saw this one. 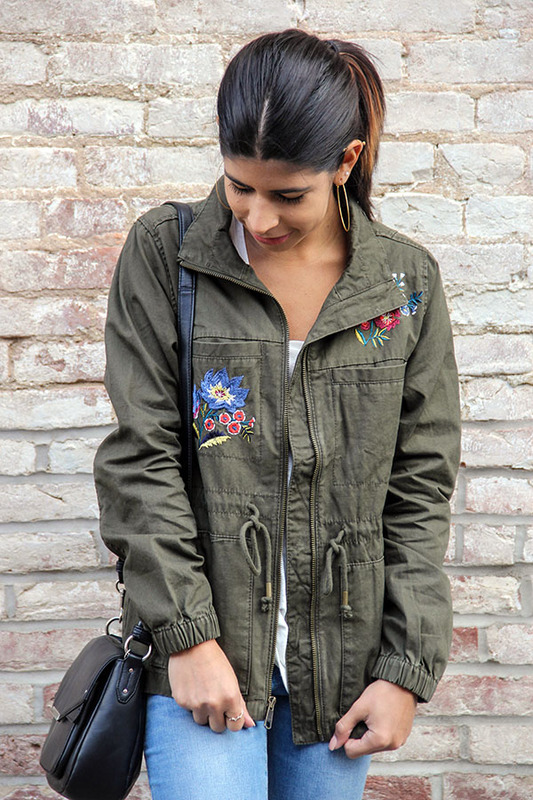 I like having a light jacket to throw on when it gets chilly and the embroidered flower detail sold me on this one. Although I still do love the camo design, I see it on everyone and just wanted something a little different. 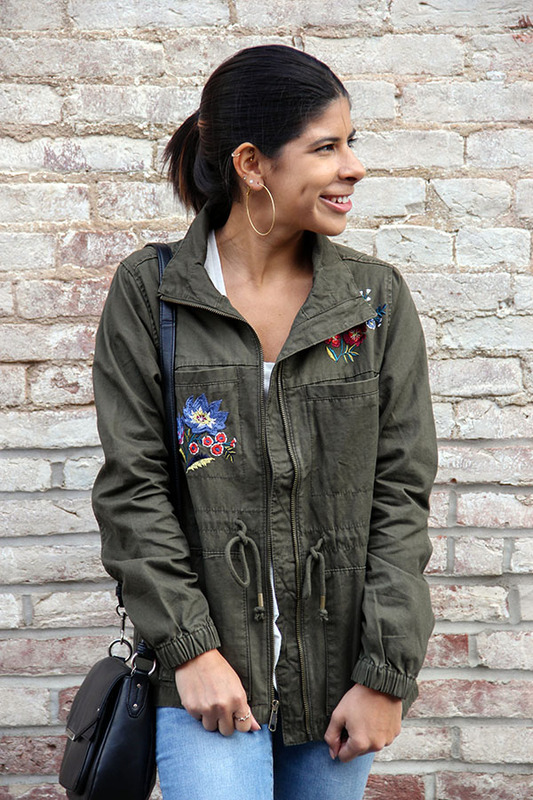 This jacket is most definitely a staple piece your fall wardrobe needs. It's easy to wear and can be styled with so many items. 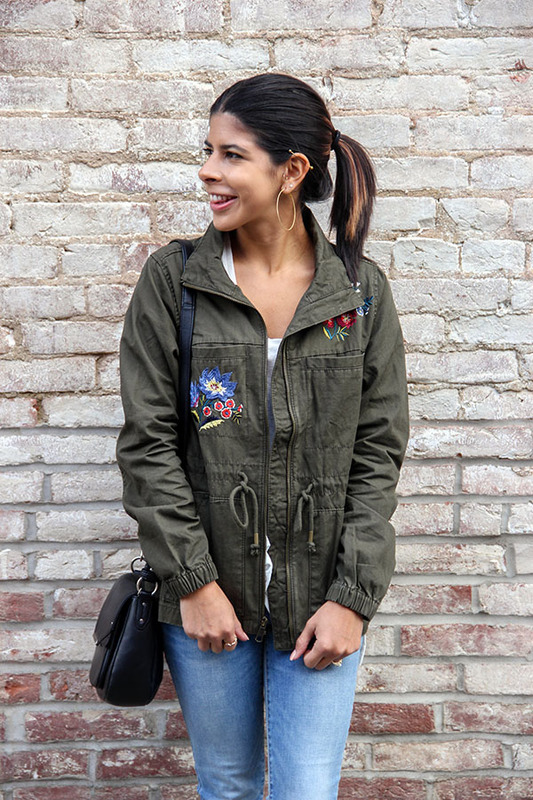 I decided to go with a more casual look for a day walking around town, but plan to style it with cute dresses and some flare jeans!